Less than three weeks to go before our 2018 Knox Symposium, and we can’t wait to welcome all of our speakers, attendees and Knox Medal winners (past winners and of course, our 2018 awardee, Prof Jim Jorgenson) to beautiful Burlington House for a day of exciting talks! 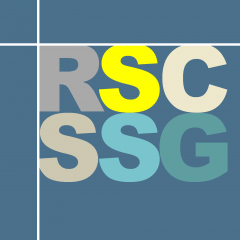 If you haven’t already registered, there’s still time: all registration information can be found on the RSC Events site, here, along with an event agenda and venue details. As usual, we are pleased to offer special registration rates for RSC members and students: this year’s Symposium has been designed to have something of interest to both expert and novice separation scientists, and our two masterclasses on capillary electrophoresis (Prof David Perrett) and plate theory (Prof Deirdre Cabooter) should provide plenty of food for thought for even the most expert users. A minor change to the agenda means that Dr Monika Dittmann (Agilent) and Dr Isabelle Francois (Waters) will be speaking about the impact of Prof Jorgenson’s work on the evolution of modern, high-performance analytical instrumentation. Our afternoon session will be devoted to the current state-of-the-art in chromatography, with talks by Dr Lewis Couchman and Prof Peter Schoenmakers, followed by Prof Apryll Stalcup’s take on the future of separation science. And finally, our 2018 Knox Medal winner, Prof James Jorgenson will be taking the stage to receive the Medal and deliver the 2018 Knox Medal Lecture. We hope to see you there on the 29th of June, both to celebrate Prof Jorgenson’s pathbreaking career, and to join us in an appreciation of some excellent separation science!